"We bury our sins, we wash them clean." 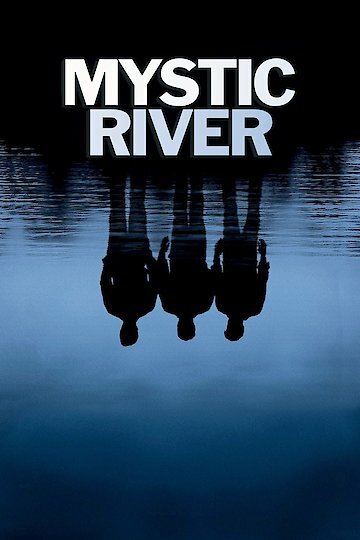 Mystic River stars Sean Penn, Tim Robbins, Kevin Bacon, Laurence Fishburne, Laura Linney, Marcia Gay Harden and Emmy Rossum. The American drama was coproduced by Clint Eastwood and written by Brian Helgeland who based the movie on the Mystic River novel by Dennis Lehanes. Mystic River starts with the story of three boys, Jimmy Markum, Sean Devine and Dave Boyle who grew up in a tight knit neighborhood in Boston. Their lifelong and somewhat haunted friendships play a large role in the storyline as the three of them each take part in helping find Jimmy's daughter's murder. Dave was the last one to see Katie alive, Sean is the first detective on the scene of her murder and Jimmy makes it his mission to find the person responsible for her death. Jimmy conducts his own investigation against Sean's request for him to stay out of it and let the detectives do their jobs. Everyone is a suspect, including Dave and Katie's boyfriend Brendan Harris. Jimmy leaves no stone unturned looking for his daughter's killer. With the help of the community and his gut instincts Jimmy won't stop until he gets the answers he is looking for. Mystic River is currently available to watch and stream, buy on demand at Amazon, Vudu, Google Play, FandangoNow, iTunes, YouTube VOD online.